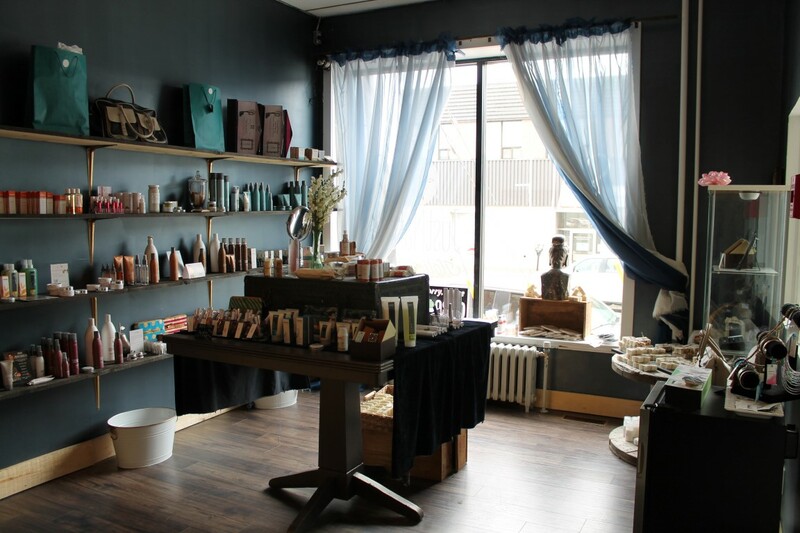 JustNatural Holistic Spa has expanded and has a brand new location in downtown Timmins! 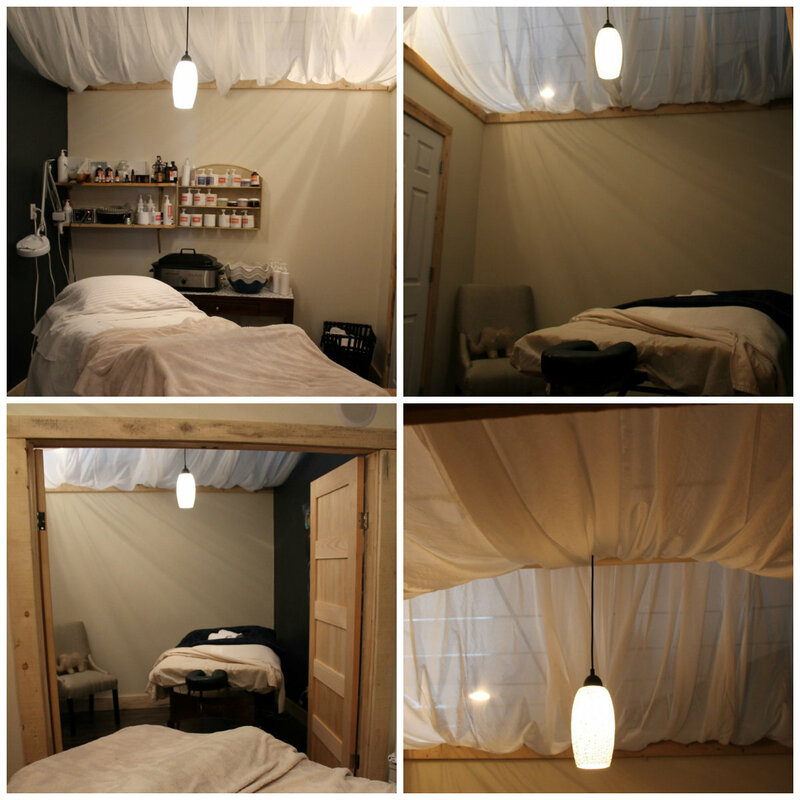 The first time I visited Chrislynn at JustNatural Holistic Spa in the winter of 2014, I sampled the best of what the at-home spa had to offer; I partook in a sensory journey which included: a warm foot soak treatment, leg scrub, a full facial, back massage, and body scrub, mask, and wrap. With Chrislynn’s one-on-one spa care and unique personal touches, my hyperactive and busy-body soul was quickly soothed in the serene and tranquil environment. 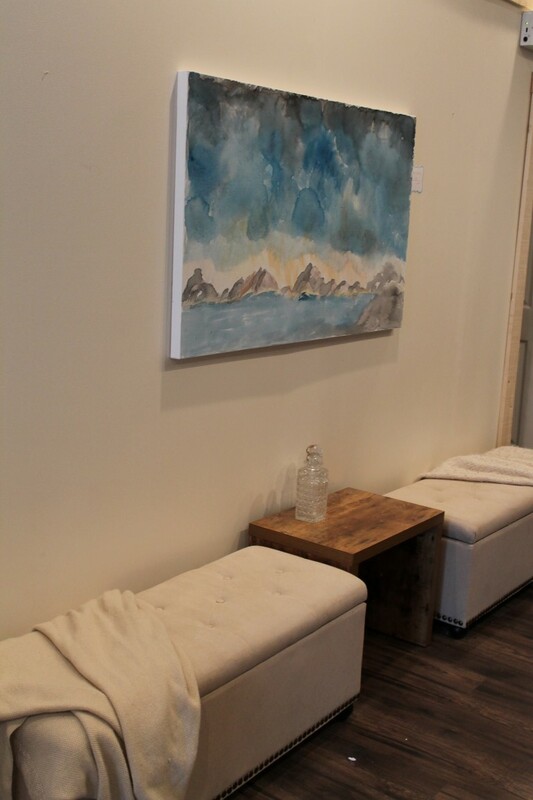 My second visit to JustNatural Holistic Spa was recently this summer when I had the opportunity to see the spa in its full glory after its recent renovations at its new location. Chrislynn graciously took the time out of her day to give me a tour of the new facility. From the moment I walked into the spa I felt as if I was transported to a modern urban spa in a big city abroad. The vaulted ceilings, natural wood frames, modern décor, and down to earth accents make the spa one of kind in the northern region. 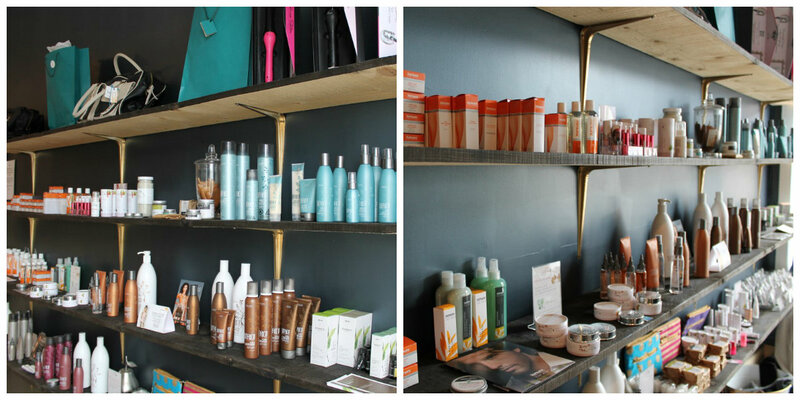 It wasn’t long before I found myself in the spa boutique sampling products and making myself right at home. I can’t wait to try out one of their uniquely designed services. 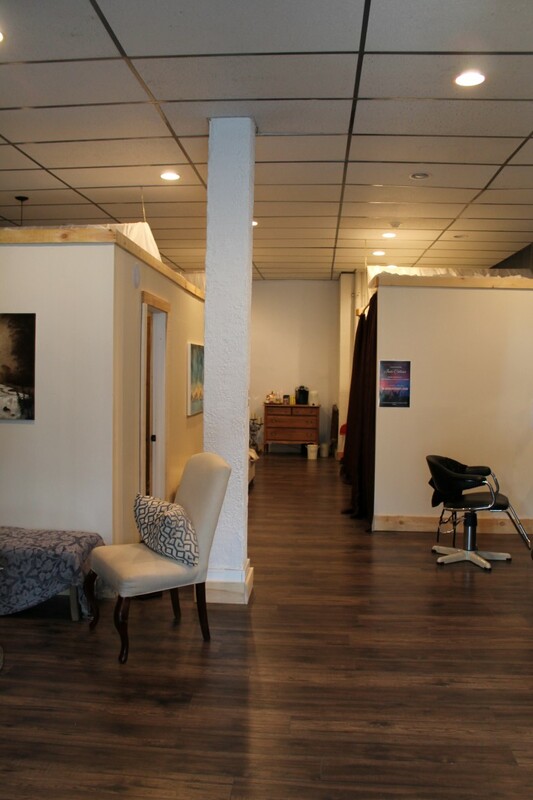 Historic Building- JustNatural Holistic Spa is now located in a historic building in the heart of downtown Timmins. The iconic building was once a theatre in 1940, then later transitioned into units, while still keeping it’s charm. It has now became the perfect location for JustNatural Holistic Spa to set down some “roots”. Healthy Mind, Body, & Spirit- According to Chrislynn, a holistic masseuse, in order to acheive wellness and fantastic health, one has to properly take care of themselves: Mind, Body and Spirit. This means taking time for yourself out of your busy lives, take care of your body, and relax your mind. 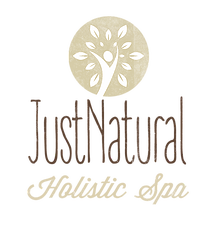 JustNatural is based upon natural healing methods, natural ingredients, and feeling better naturally! Knowing that she couldn’t do it alone, she brought in a team of amazing people in order to fully enhance the Spa experience and offer a spectacular list of services for men and women! 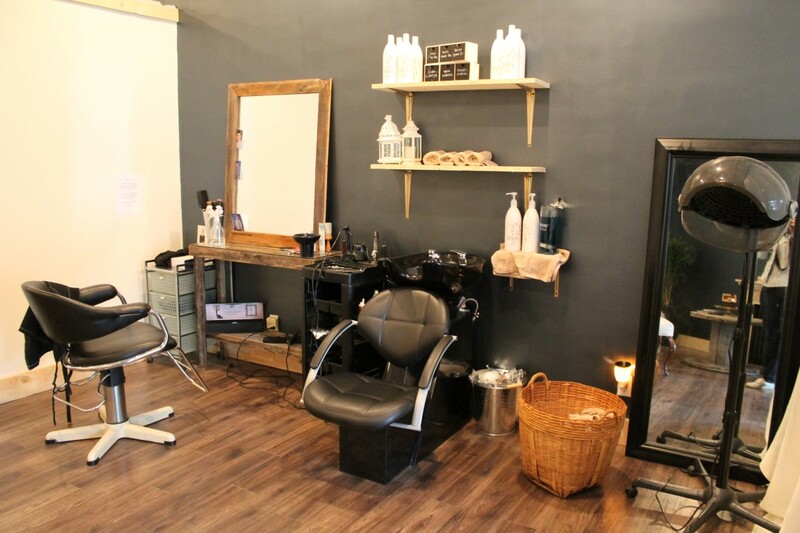 What’s New– JustNatural Holistic Spa has extended its services to include hair, aesthetics, and unique add ons. Proceeds go to charity- Their specialty “charity soaps” made by PURE are sold within the Spa, and proceeds are donated to the Anti-Hunger Coalition of Timmins. 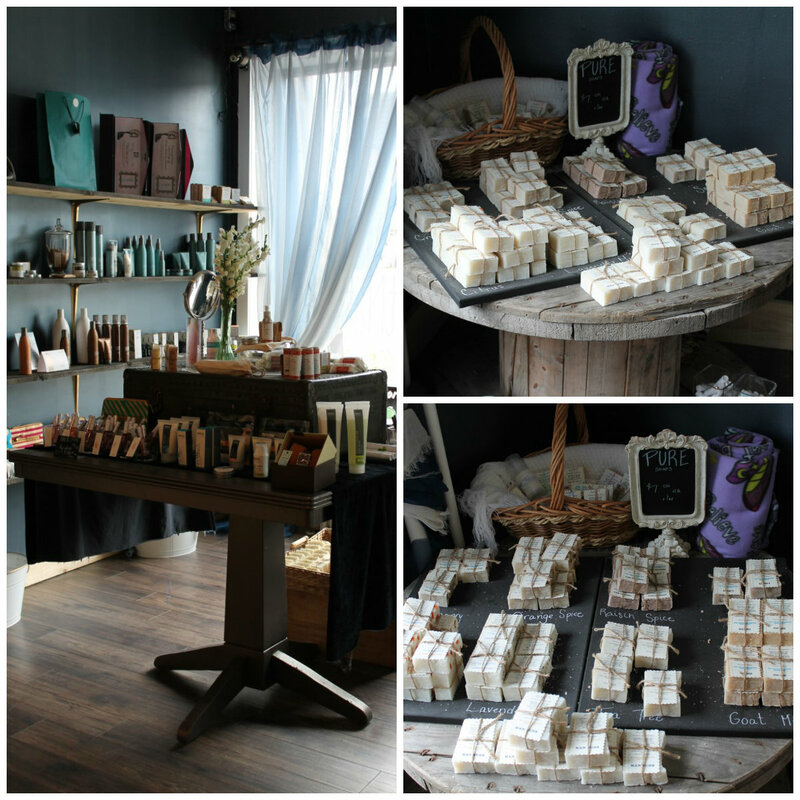 Organic & Natural Boutique- As a natural and holistic spa, Chrislynn uses only all natural and organic products. JustNatural Holistic Spa uses ecological products that are good for the environment and body! No confusion reading the ingredient lists on her products–you’ll know what everything is. 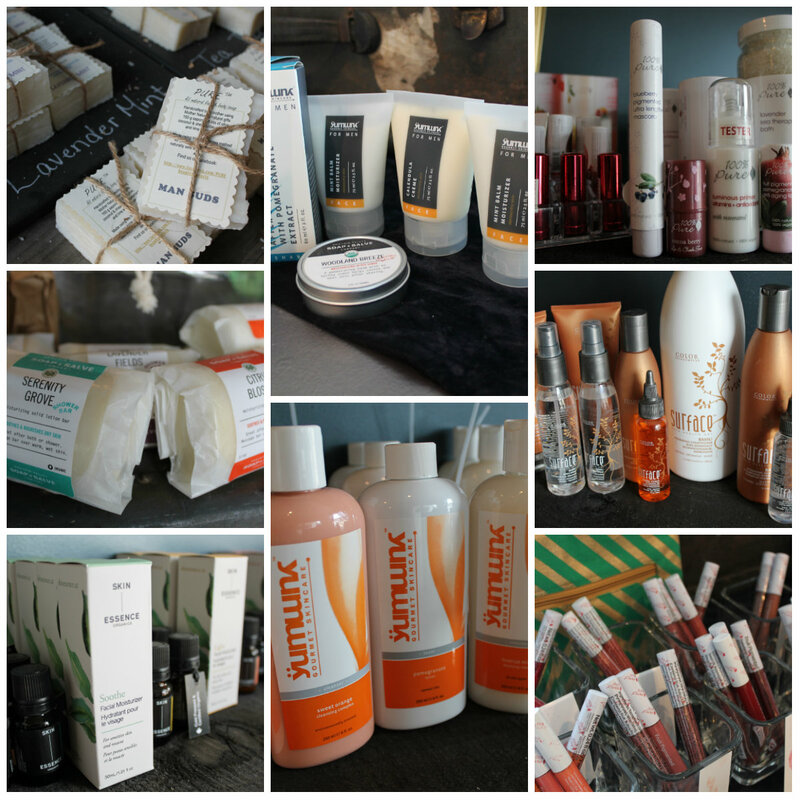 JustNatural Holistic Spa boutique sells a variety of authentic items and natural, organic, and homemade body products that are made in Canada and the USA. I’ve absolutely fallen in love with 100% Pure, an all-natural cosmetics line made from fruit formulated with high performing antioxidants, naturally occurring vitamins, and essential oils. 100% pure is considered the world’s most pure, organic and all natural line of cosmetics that is good for the environment, and our animals–its cruelty free. I’m shocked that I am just hearing about it now. Thank you Chrislynn for introducing me to this company, I’m excited to try more of their products. My favorites so far are the fruit pigmented lip & cheek stain, fruit pigmented lip gloss, and the super fruits reparative cream. From Swedish massage, Chinese fire cupping, prenatal massage, reflexology, reiki, body wraps, nail art, to hair styling, JustNatural Holistic Spa has it all at great prices–JustNatural won’t break the bank. Get a high-end urban center boutique experience locally for the cost of an everyday splurge. See you there. For spa hours, click here. 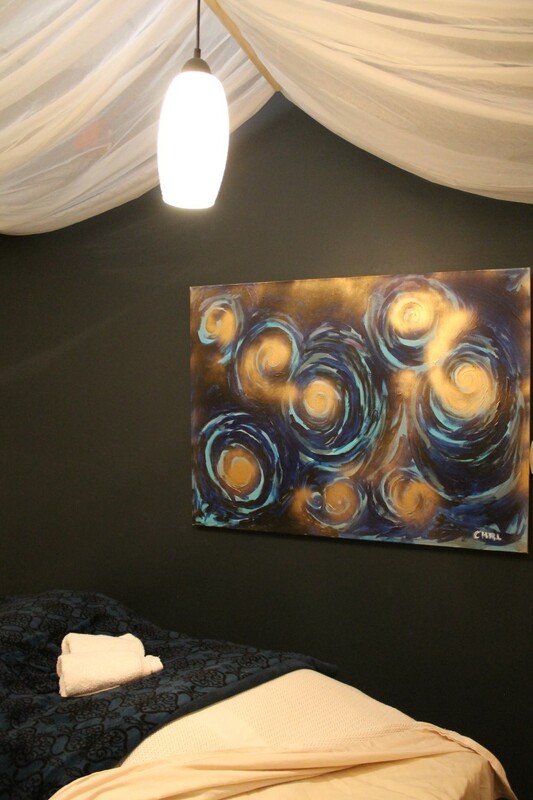 This entry was posted in Lifestyle, Ontario, travel and tagged Canada, Holistic, JustNatural Holistic Spa, Lifestyle, Natural, Ontario, Spa, Timmins, Travel, Turquoise Compass by Turquoise Compass. Bookmark the permalink.